Xem tất cả 7.354 khách sạn tại Bangkok. Bạn có thắc mắc về Pakdee Pratunam Bed and Breakfast à? 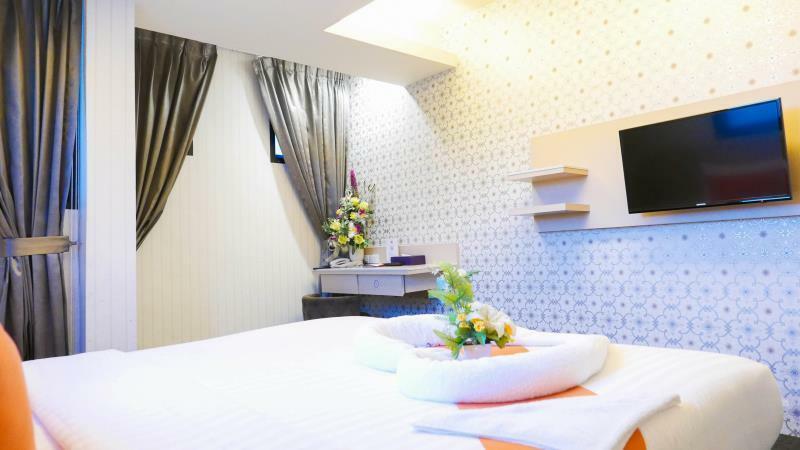 Nằm ở vị trí thuận lợi thuộc Bangkok, Pakdee Pratunam Bed and Breakfast là một nơi nghỉ chân tuyệt vời để tiếp tục khám phá thành phố sôi động. Khách sạn nằm cách trung tâm thành phố 1.8 km và dễ dàng tiếp cận các địa điểm khác trong thành phố . Khách ở khách sạn có thể dạo bộ xunh quanh để ngắm các địa điểm thu hút hàng đầu của thành phố như : Trung tâm mua sắm đồ điện tử Pantip, Pantip Plaza, Krung Thong Plaza. Thiết bị và dịch vụ cung cấp bởi Pakdee Pratunam Bed and Breakfast bảo đảm kì nghỉ dễ chịu cho du khách. Vì sự thoải mái và tiện nghi của khách, khách sạn trang bị đầy đủ miễn phí wifi tất cả các phòng, quầy lễ tân 24 giờ, wifi công cộng, phục vụ phòng, đưa đón sân bay. Bước vào một trong 14 phòng khách, bạn như rũ bỏ một ngày dài căng thẳng với một loạt tiện nghi như tivi màn hình phẳng, internet không dây, internet không dây (miễn phí), phòng không hút thuốc, máy điều hòa trong một số phòng. Bên cạnh đó, khách sạn còn gợi ý cho bạn những hoạt động vui chơi giải trí bảo đảm bạn luôn thấy hứng thú trong suốt kì nghỉ. Pakdee Pratunam Bed and Breakfast là một nơi lý tưởng cho du khách nghỉ chân tìm kiếm sự thoải mái và tiện nghi ở Bangkok. Gần Pantip Plaza, Platinum Fashion Mall. Phòng sạch sẽ, đồ ăn sáng không ngon, WIFI yếu. Great Location, short walk from malls. Room may be a bit small but Staff's service is good as well. Might be slightly disruptive at night as the traffic can be quite loud. Water pressure was average. Cleanliness is good as well. Friendly staff. Room cleans everyday. Sewer gas smell in bathroom gives so much headache most of the time. Rooms are noisy as this hotel is so small and near a noisy highway. Super friendly staffs and clean room. Walking distance to night markets and malls. Everything was perfect. Just slightly noisy as the hotel is located on the main road. friendly staff, great location. please note that no breakfast provided. but you can easily have breakfast around the hotel. Pakdee Pratunam Bed and NO BREAKFAST. Entered and greeted by an active smiling recep speaking great english and made our day(night). Place is near pratunum market and platinum mall. Simple, clean, fuss free. Good basic breakfast. A bit of a walk to bts station but with all the shopping nearby u will soon forget the inconvenience except if you wanna go to the airport via bts with all the shopping bags. Very good location, and amenities. Located at Soi 15, where all the massages are at. 5-10 minute walk away from Platunium and Pratunam Market. Shifted over from Cloud9 Lodge after experiencing lousy service and leaking room was given a very very warm reception by the service crew although we went over at 8am in the morning. Thank you for staying here and hope see you again next trip. Stayed a few nights at Pakdee. Its location is good for shopping at the Pratunam area, near to Pratunam market and mall and some other malls. There is a new Neon night market which is not too far from here too. Many massage options just beside the hotel itself. Breakfast was included and decent. Staff were very helpful and friendly. Downside is that its a good 10 - 15 mins walk to nearest BTS. Saw a big cockroach and a couple of small ones in the room. Otherwise, its value for money. Oh, and the hotel looks and feels very new too! Never spend too much on hotels in BKK since you'll be out anyway. 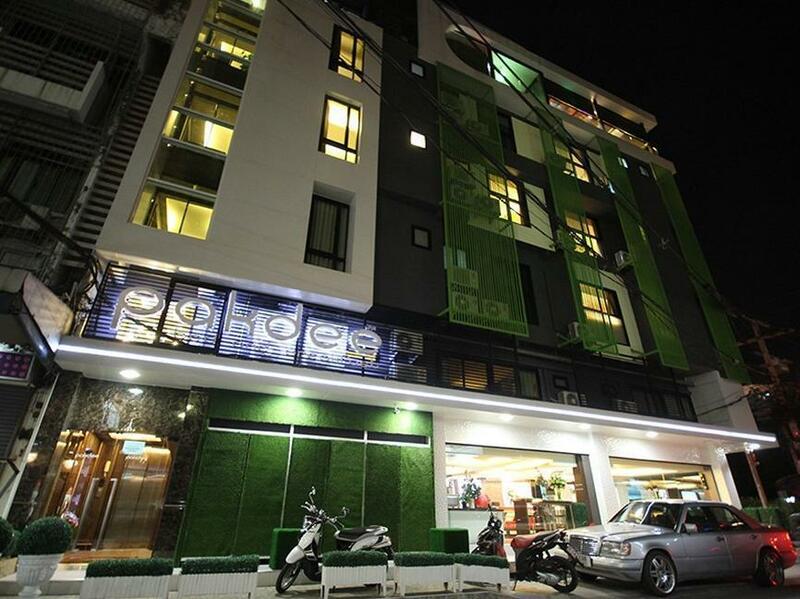 Pakdee is the value for money kind of hotel right on the street opposite Platinum, 5 mins walking distance. Taxis everywhere on the street, hail a few more tries and you'll easily get a honest one with meter. Massage nearby, famous wonton noodles nearby. Small but sufficient room for my family. Perfectly located on the main road of Pratunam. Room is clean and cool aircon through the day and night. Breakfast could do better for some but is adequate for us. We checked out accordingly and left all our baggages as we were on a late flight, all is in order and safe when we returned. Trustable staff. Perfect location on the main road of Pratunam, rooms are clean and aircon is strong. Breakfast was just adequate and at the roof top. My children loved having soft toys at the lobby. Came in handy whilst waiting for taxi pick up etc. Awesome, located at the roadside, within 5mins walk to shibuya19, near the pratunam wholesale market, and 10mins walk to platinum mall, as well as 15 mins walk to ratchethewi station, and 20mins walk to Big C and Central world and Siam malls area. Hotel is owned by famous wanton mee owner, hotel breakfast was quite good. It was great as the hotel is located near to shopping areas and good food. Room was clean and big as I was upgraded to deluxe due to my original standard room not available. Friendly and helpful staffs. My stay was definitely a pleasant one. For starters, the location of the hotel is great, being 5mins walking distance to Fashion Mall and Central World, which is the main shopping area. The only peeve is that it is slightly far from the nearest BTS station, which can be a hassle if you're headed elsewhere and need to get back (as taxis in BKK are well known for not going by meters). Room-wise, it's pretty small for a standard room but I had a queen size bed to myself. 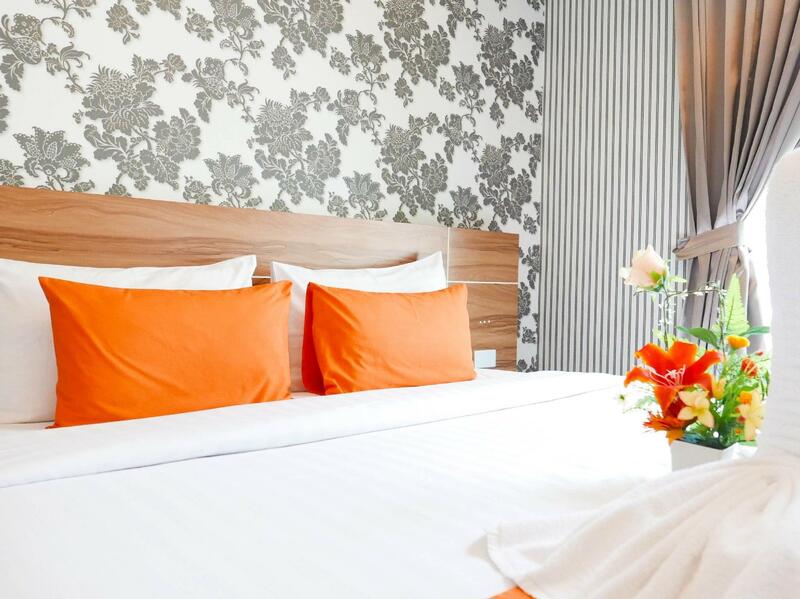 Do note that standard rooms are meant for 1 pax only and if you're bringing a guest or booked the room for 2, you will need to pay extra charges. Breakfast spread is pretty standard (asian cuisine with toast and eggs) but they're tasty and gets you all filled up to go on for the morning half of the day. Lastly, there's lots of massage parlour just right beside the hotel, thus you can shop till you drop and go next door for a massage.